This ground-breaking new book studies the diplomatic and security history of relations between Ireland and Britain, giving context to the role of Anglo-Irish relations in the early years of the Northern Ireland Troubles. By looking first at the wide variety of relations and the surprisingly deep trust evidenced by cooperation in the 1960s, this book illustrates for the first time the context of Common Market and trade negotiations within which Anglo-Irish relations crystallised in the era of Sean Lemass. 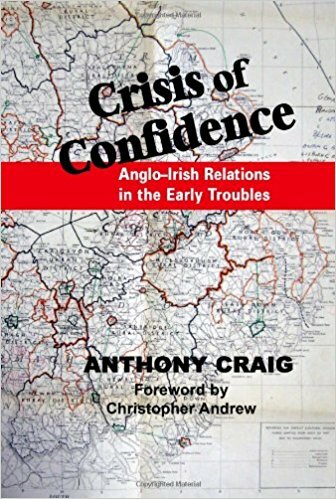 As Anglo-Irish relations changed, so too does the nature of the book. Once the first British soldiers are killed, and following the deaths of so many civilians on Bloody Sunday, joint entry to Europe became little more than an afterthought. Thus, new research on the attempts by Britain to gain security and intelligence cooperation with the Republic alter previous judgements of how the republic reacted to the emergence of the Troubles. 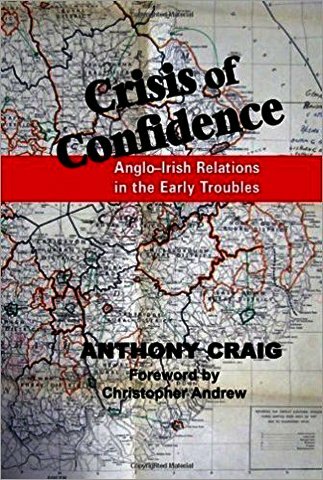 Despite the Sunningdale Agreement and both governments’ genuine efforts, this book demonstrates that after 1974 both Britain and Ireland began secretly and separately to prepare for the collapse of Northern Ireland into a generational conflict and a political abyss. This new book gives fresh insight to many aspects of both Britain and Ireland’s response to the emergence of the Troubles in Northern Ireland. In this sense its conclusions are controversial. It is a history of a relationship, rather than any particular state and thus contains criticism of all actors, including those in the Stormont government. The Arms Crisis, internment, cross-border security, the Irish government’s doomsday plans, and Britain’s security and intelligence policies are all further illuminated in this work. So too is the impact of the Provisional IRA’s electricity sabotage campaign in the summer of 1971, a topic never before discussed, but one crucial to understanding fully the beginning of the end of Stormont. This book sheds vital new light on all types of state and interstate actions at the time. Ultimately, it illustrates the limits of state action in Northern Ireland, and the need for community reconciliation, over military or paramilitary escalation.